Jhessye was last seen wearing a white t-shirt, blue jean shorts and pink sandals. Unknown. 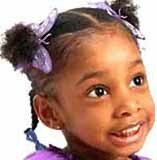 Jhessye was last seen at her home in Glendale, Arizona on October 11, 2011. She has not been seen or heard from since and is considered endangered. Her case remains unsolved.